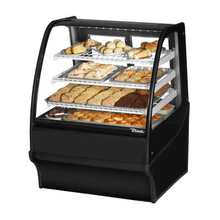 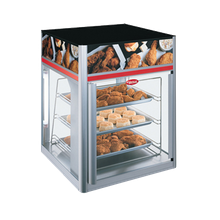 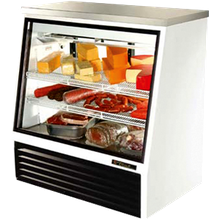 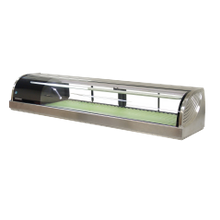 Showcase your bakery, deli, sushi items and more with a refrigerated, non-refrigerated or heated display case. 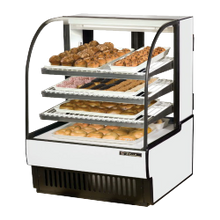 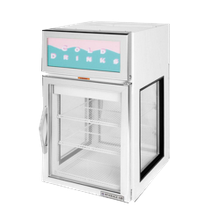 Ranging in size from countertop heated display cases to drop-in non-refrigerated display cases to specific bakery, deli and sushi refrigerated display cases; you can also choose from pass-thru and see-thru units are also available in full-service, dual-service or self-service display cases. 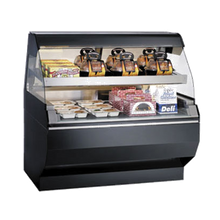 Typically constructed of stainless steel, a refrigerated, non-refrigerated or heated display cases can have a variety of stainless steel or glass shelving configurations depending on the foodservice operations product offering.